Wool is often blended with other types of yarn to utilize the best properties from both types of yarn. 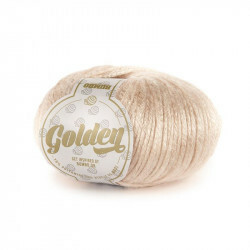 For example, the coarser types of yarn have the advantage that they are stronger and more durable, whereas the finer yarn fibres make for a soft and comfortable yarn. 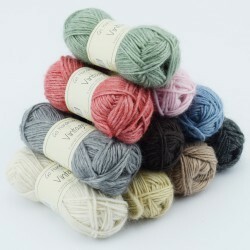 Common blends are Alpaca and wool, cotton and merino wool, wool and nylon and wool and acrylic. These blends are all sold at Hobbii, and if these blends are the ones you’re after, you’ve come to the right place. Wool blends can be used for a lot of different projects, only your imagination sets the limit. 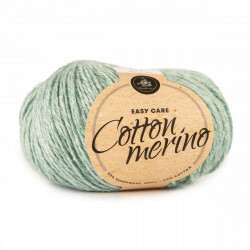 For example, a blend of merino wool and cotton is great for crocheting or knitting blankets for children and adults alike. 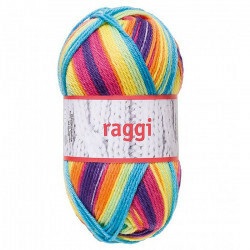 It’s especially good for children as they can have difficulties controlling their body temperature - this yarn can help with this, so it's neither too hot or too cold for them. 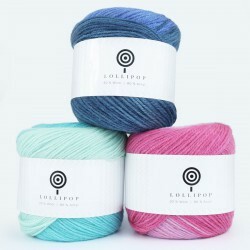 On the other hand, a wool and nylon blend is a much more durable and hard-wearing blend, which is therefore very suitable for knitting socks. 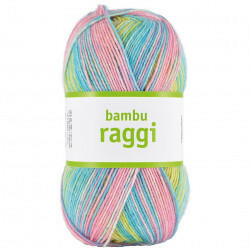 The nylon yarn gives it a strong abrasion-resistance, while the wool, on the other hand, contributes with a lot of warmth. 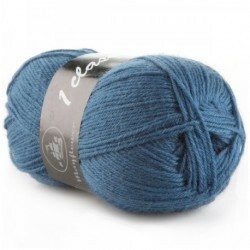 So, if you are looking for a cosy project, then this is definitely the blend for you. 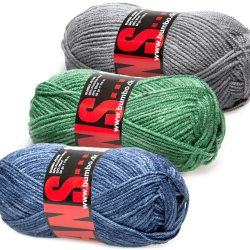 Wool yarn is available in many different varieties and thicknesses that you can explore as time goes on. 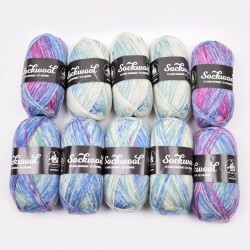 There are both thick and thin types of wool, which makes it perfect for combining with other types of yarn, depending on what you wish to make. 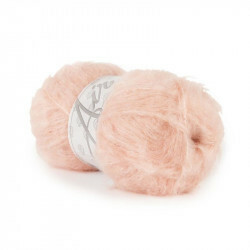 In addition, the softness differs as well, and this is due to various factors such as what animal the yarn is from, how its living conditions are and where on the animal the wool is from. 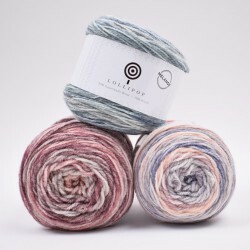 Depending on what you prefer as a person and what project you want to embark on, the different types of wool can be used for many different things and therefore also have many different attributes. 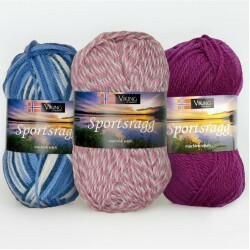 At Hobbii.dk we strive to be one of the best and fastest at delivering wool blends and yarn accessories. Therefore, you will always get your parcel within three business days of ordering online. We take pride in keeping a high standard in our customer service department and please don’t hesitate to give us a call if you have questions about our products. We always provide full right of return on goods ordered on our web shop. You are always welcome to contact us if you have questions about our wool blends or need help ordering. You can contact us via our contact form and we will respond to you as quickly as possible. Or you can call us on 0045 31 86 33 57 or email support@hobbii.com. We look forward to welcoming you as our customer. 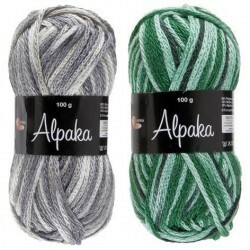 This yarn is beautiful - I originally purchased because I wanted to try something new and I was intrigued by the Alpaca/wool blend. I was not disappointed! It is easy to work with and is so soft! I am making a long rectangular shawl and am loving how warm, but light it is. I will be buying more of this for sure! Having knit well over 250 pair of socks in the past 6 years I feel qualified to review this yarn. It is delightful to knit with. I cast on toe up using the Magic Loop method and then switched to an 8 inch circular needle US1. 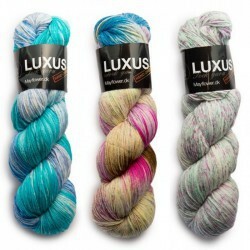 This sock yarn is a dream to knit with. The yarn is consistent and does not split. It is soft and has excellent stitch definition. The first sock is being knit with color 2. The patterning is pleasing to the eye. There is enough yarn (459 yards) to easily complete an adult pair of socks with a generous leg, or 2 pair of shorty adult socks. I combined my order with a friend to get the free shipping. She is going to be just as delighted with it as I am. She wants to knit a scarf with hers. There is enough yardage to complete a scarf, or small shawl. 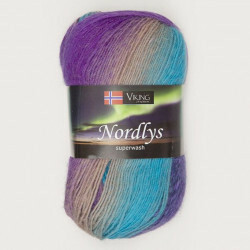 This yarn is superb. I highly recommend it. 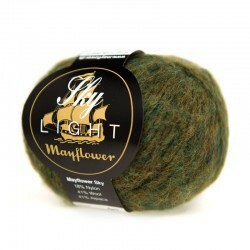 This yarn is just so beautiful. I have not yet started the garment it is intended for but just love the graduated colour transitions that blend so seamlessly in the test swatch I did. It crochets very smoothly and makes up quickly but I think it would itch if it was too close to my skin. The description says it is a softer acrylic that is better against your skin but I have sensitive skin and I think this would irritate. However, in saying that, it will be perfect for the project I bought it for and I can't wait to get started. It was also a bonus to get it on sale. 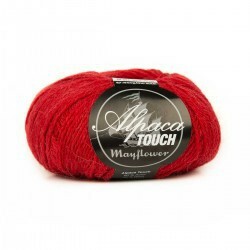 I love the feel of this yarn as I am working with it, and hope that the recipient will enjoy wearing the item, as well. 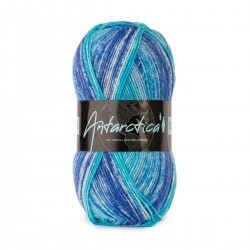 I like the stitch definition this yarn supplies in the makeup of the pattern I chose to use. 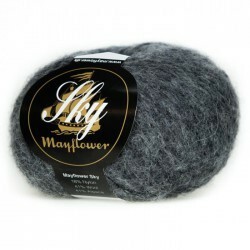 I like that there is little to no "fuzziness" of this yarn as it is in use, despite the fact that it is made of wool. All in all, I am satisfied with the decision to try this product. I have just received my shipment and the colors are beyond my expectations! I can wait to cast on. My order consisted of colors 2, 3, 9, and 10. I am definitely going to order the remaining colors. I learned of your website from the Urban Gypsy Crochet, and I’m so glad I tuned in that day. I will be sure to recommend to my knit/crochet friends. The stripes between the pattern sections were very distinct and clear. Very nice. Could use a little longer pattern part. A sturdy yarn - I would expect the socks I made to wear well. I wish it came in a few more colors. I knitted the Baikal, and it was prettier in real life than it appears here. Quite bold tones! It did have a knot in the skein. 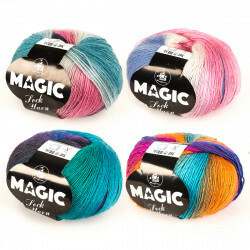 Wonderful yarn! Works up beautifully on my needles. I’m working on a shawl and two skeins made a very elegant shawl that I can wear with a dress for dinner or just jeans and a classic t shirt. Purchased quite a few skeins so they’ll be at my fingertips when whatever color variations I prefer. Thank You Hobbii, I’ve 2 more orders waiting. Feells nice and soft. Looking forward to make a pair of socks as soon as I finish the shawl I am making with Patagonia yarn I ordered at the same time. I think Siberia will wear well and be easy care and warm. I like my socks to have a long leg for warmth and with the generous amount on tbis skein I sbould be able to acbieve this longer leg.